From a classroom lecture of Protopresbyter Fr. 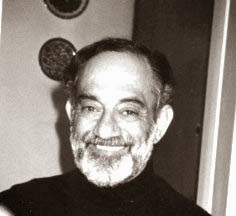 John Romanides delivered on February 4, 1983 at the University of Thessaloniki. The lecture can be heard here. Certain words and phrases cannot be made out, so were left out of the translation below. Keep in mind as well that this lecture is very conversational and not well structured grammatically, and of course the scientific language reflects that of 1983. Now we have the following problem: It is the issue of human evolution. It has now been found that man 500,000 years ago was not as he is now, as Homo Sapien. We have a history of [unintelligible word] thousand years. We have a limited history. In ancient times man had another form. So far, there are three kinds of people, as determined by anthropologists, who have been established to be people. They are Homo Habilis, Homo Erectus and Homo Sapiens. They have determined the existence of Homo Habilis (with proof, and not only theory) to have been 3,500,000 years, that is, [two unintelligible words]. Because today he does not exist. Now, what interests us is that it has been determined that the grey matter of every being, has something to do with the high or low rationality of humans. The more rational the animal, the greater the grey matter. The more rudimentary the rationality of humans, the lower the grey matter. Now, I don't know whether this can be absolute, because there are birds and insects so small, that have amazing, let us say, mental power. We have ants that have a very developed culture. An amazing culture. In other words, there is a culture of ants. [unintelligible sentence]. They have queens, they have armies, they have I don't know what else, they have workers and they have their lazy; in other words, they have an organic societal system. There are the slaves and there are the free. They have slaves [unintelligible phrase]. And they are organized into [unintelligible word] society. But they are organized. And how then are they organized in this way? Because they are not a race that subjugates another race. They all come from the same, that is - at birth. One is born a worker, another is born [unintelligible word], a queen is born a queen, [unintelligible phrase]. We have a very detailed operation of various animals, and the theory that has prevailed most is that each species has evolved according to the needs of adaptation to the environment and the needs of survival. So, the needs of survival and adaptation to the environment, have created the form taken by the body and the visual system in the body of each animal, and the different abilities. Other animals have become castles and forts and do not move very quickly, while others move very fast to catch their prey or to flee from their enemies, etc. Thus over time there is a clear evolution in the types of life, and this has been found by paleontologists, and there is no doubt now about the point that there is the evolution of species. Any animal that has been examined, has been seen to have evolved into inherited needs. Now, the prevailing theory about man is that man had a small brain, when there was one continent in the world, and before they became continents, before the mountains arose, because at this time it was in a paradisiacal state in which there were nuts everywhere and plenty of grass, and man sat and ate let us say ready meals, like a Greek in Omonia in Athens [unintelligible phrase]. So man in this way ate nuts, etc. And from his teeth it appears clearly he was not a carnivore. That is, he does not have teeth to eat meat, which is why he cooks meat and other things, except for those who eat minced raw meat with spices. It is very good. I don't know if it is dangerous, but it is very good. Yet man was not formed to eat meat. What would be expected, the theory that imagines ancient man as fierce, is for him to have the teeth of a carnivore. Do you understand? And that the carnivorous teeth disappeared when man learned to make fire and cook his own food, [unintelligible phrase] cooked meat is more palatable, etc, and man made his kitchen and so it was necessary for his teeth to change. But now we know well that the teeth of man at that time, before 3.5 million years ago, are the same teeth we have today. Maybe there are a few minor differences, but still they are not the teeth of a carnivore. Now, combining these facts with the knowledge geologists have, who have researched the phenomenon of plate tectonics, the formation of the current continents, the formation of mountains and the changed climate of the earth, the theory now dominating, which is accepted, is that man had a small brain when he was a vegetarian and did not have to work. But after the change of the climate he was forced to become a hunter because there was not enough food, and he learned to salt animals that he hunted, to be able to go from one summer to the next, because in the winter no food could be found, etc, and when they learned to store food the brain started growing, and later when he learned to farm it began to grow even more, because agriculture requires more logical knowledge. And with the development of culture comes the need for survival. He stopped hunting and became a farmer, then developed political science, because the farmers really had to protect their land from enemies who wanted to take their land. So the great wars that we know from history began with the growth of agricultural civilization. And from agricultural civilization there developed Geometry, Mathematics, the interest in celestial bodies for the weather and so on. At the same time magic developed, and all those things [unintelligible phrase]. Now in this area there is a theological problem. It prevailed until recently that this world was around 5500 years old, if anyone uses the Old Testament to gauge the age of the world and the creation of the world. It is clear that the world in the Old Testament was created 5000 years ago and not prior, when the world had so many years of existence. Now we know that this world did not exist only when man appeared, but this world existed millions and billions of years before. The most distant star now found is 10,000,000,000 light years away. Ten billion light years away. From this we can understand that the universe is at least older than this, that is, 10,000,000,000 light years. Much older than this. Is this not so? Very old. Now this area creates a problem in regards to our position on Holy Scripture. Because there is a segment of Christians who equate the Bible with revelation, and this creates a load of problems if Holy Scripture is a revelation, because if God has revealed, how could God reveal in a book what has not been correctly described that He Himself made, if God is the Creator of the world. Do you understand? So the theological problem is the issue of the appearance of man - whether he evolved from the apes or if man first appeared as man. Did he evolve from an animal and become man, or did he first appear as man? Then what is man? Current research in which there is a comparison of the cells of apes and the cells of humans, even one who cannot make a distinction will say immediately they are the same thing, and there is no difference between the cells of the ape and the cells of humans. There is such an amazing similarity that even if an amateur looked at it they will say: "Oh, it's the same." Then, if you look at the skeleton of the ape, which have been found from antiquity, such as ..., an ape which is his contemporary (not an apeman), umm [he is probably referring to Australopithecus, since at this point the recording cut]... the skeleton of the foot let's say, it is difficult to find a difference, because these contemporary apes to Homo Habilis walked upright. Do you understand? This also is proof. In other words, man was not the only one who walked upright, but now there are examples of apes who walked upright. The basic difference with us is the area of the brain. Homo Habilis has a brain of about 700 cubic centimeters. Homo Sapiens, modern man, has an average capacity for the brain of 1400 cubic centimeters, at an average. Homo Erectus is between the two. It is about 900 cubic centimeters. So the basic difference in the formation of man is that the human brain enlarges. It has been established now that the size of the brain grows analogous to the way of life of a man. When he was a grass eater and fruit eater he had a tiny brain. When he became a hunter and man was obligated to live a more complicated and difficult life, the brain enlarged to give man the ability to adapt to his environment. And with the development of agricultural civilization Homo Sapien appeared, and a cerebral brain developed, which now lived by its reason and cultural and social structure, in an organized society, etc. And we have this evolution. Now the problem is whether man evolved from the ape, or if man made his appearance as man. Is this a theological problem, or is it not a theological problem? I believe that in essence it is not a theological problem. But from a scientific standpoint it is certainly very interesting. According to empirical methods of research, one cannot determine in advance whether various theories developed for an issue are wrong or not. No one can prove it dogmatically, or demonstrate its authenticity, before there is scientific evidence, how an issue, from the standpoint of the evidence, will be found in the positive sciences. And I think it is a great folly and stupidity for one to sit and engage in an apologetic way with such an issue. Because if man evolved from an ape, then he evolved from an ape. If he did not evolve from an ape, then he did not evolve from an ape. Is this not so? That is to say, I know of no other circumstance. We either evolved from apes, or we did not evolve from apes. This is a scientific problem. Now, why should we lose our patience and become agitated and think that Orthodoxy will collapse, if it proved one way or the other? What significance does it have? Orthodoxy does not belong to the past and we do not do theology according to the past. We do theology of the present. The interest of Orthodoxy is for man as he is now. 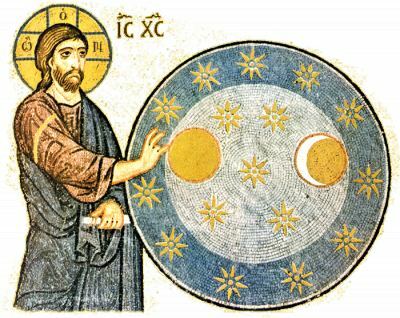 Therefore, as long as Orthodoxy is a spiritual psychiatry, and belongs (in my view) in the medical sciences, because its primary concern (not its only concern), but the primary concern of Orthodoxy is the therapy of the noetic energy of the soul. This is the work of the Church - to heal this energy - whether it is inactive, demonically active or if it is latently active. Therefore, the work of the Church is to heal the nous of man, and to go from purification and illumination, and for man to be cured and become what he is meant to be, because man is a psychopath. It is not necessary to be schizophrenic to be a psychopath. Man, every man, is a psychopath. He requires purification of the soul. He is ill according to his soul. As long as each person is a psychopath - because the definition of psychopathy from the patristic viewpoint is anyone with a noetic energy that does not operate properly, and whose nous is full of thoughts, not only bad thoughts but also good thoughts; whoever has thoughts in their nous, in their heart, whether they are moral or immoral, whatever they are, because the thoughts in our heart can be most moral, but such a person can be a psychopath. This is why the Pharisees were psychopaths. The same is true for every pseudo-christian who makes themselves out to be a puritan and a guardian of public morals. They are psychopaths. [recording interrupted]... against Darwin's theory, against [unintelligible word], against all the philosophers [unintelligible word], that is, against all people who think. Anyone who thinks and does research, these books were against all these people.